The well known Lake County, FL Leesburg HobNob was held tonight where 712 people paid $12 each to nibble, drink, talk with local Lake County election candidates and vote in a straw poll. The straw poll results are in, and below. Keep in mind, like the Clermont Hob Nob we described last week, the straw poll is not a scientific poll, but the results of a popularity contest by those who attended. Since this was sponsored by Leadership Lake, the group that annually holds classes for future leaders in the County, many attending are well educated in local politics and who they want to win. Additionally, each candidate paid to have a table and provided free $12 tickets to their supporters. Also, unlike the Primary on August 30 (and early voting is taking place right now), the voters for all parties were taken, and not split like the primaries among parties. But, the event gives an indication of how close some races may be. 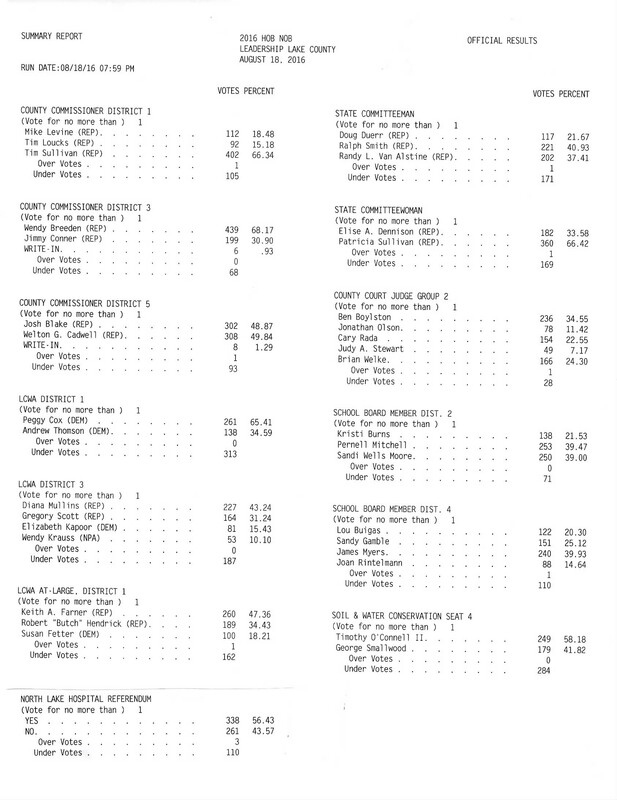 The scanned images of the two page report are below, which were provided by the Lake County Elections Supervisor's office, who administered the voting using real voting machines. 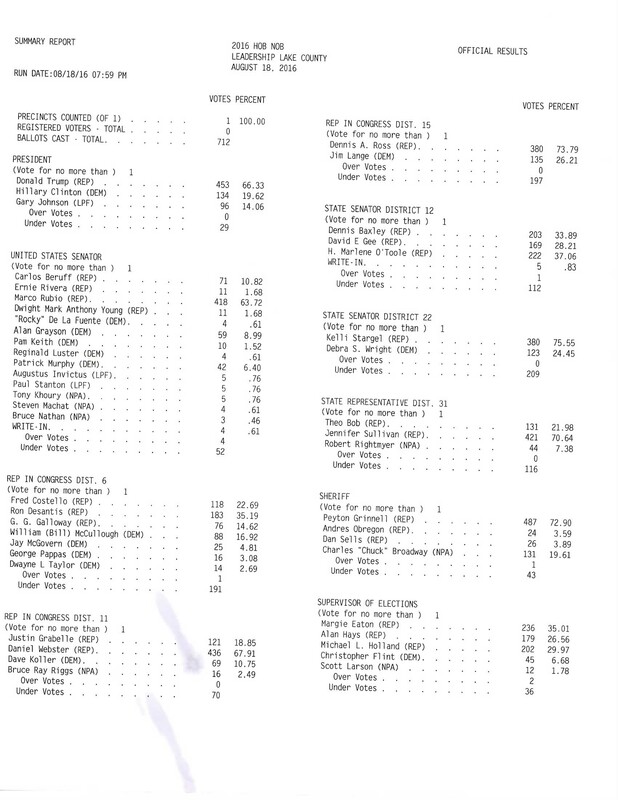 Here is a summary of important races, or see the full results with actual vote counts and percents in the scanned images attached below. Note: The above Dist. 12 was left out by mistake, but added in Friday morning.